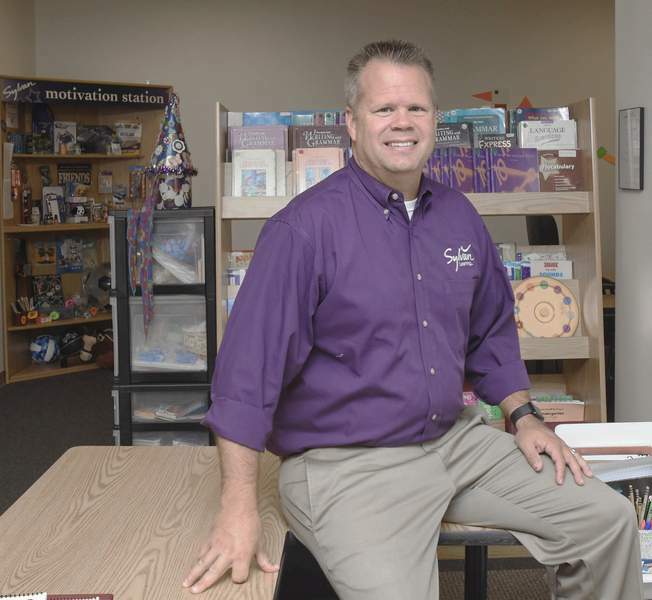 Michelle Davies | The Journal Gazette Sylvan Learning Center franchisee Kent Kolbow of Fort Wayne was recently given the company’s top franchisee honor, the Thrive Award. One of the perks of being an adult is getting to trade spelling tests for spell check. At 45, Kent Kolbow doesn’t have to sweat through tricky word lists or multiplication tables tests. He does every time one of his Sylvan Learning students does. And as the franchise owner of seven locations serving about 800 students, that’s a lot of tests. Fortunately for Kolbow, those students have earned a lot of A’s and B’s, grades that make his day every time a student shares a win with him by text, email or handwritten note. "It’s the most rewarding job there is," he said of tutoring. Kolbow is a back-to-basics businessman. He hires the best teachers he can find and stresses strong communication with both students and parents. His approach is paying off. 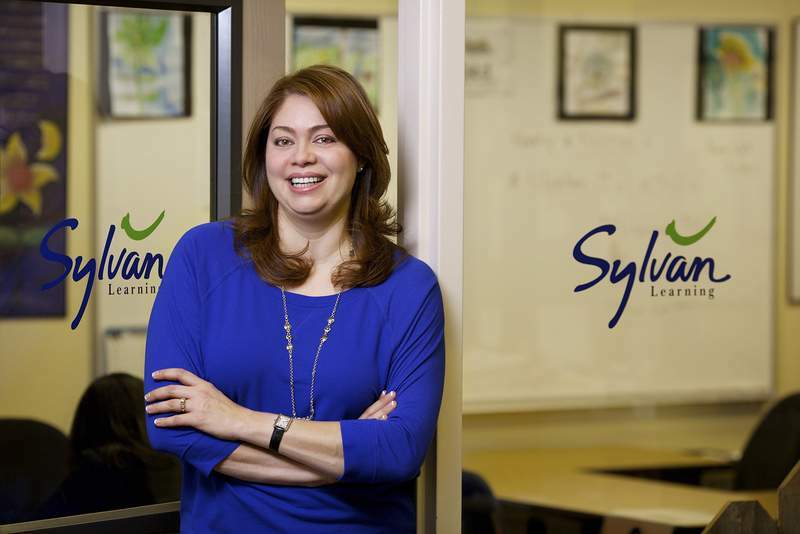 Last month, Kolbow won Baltimore-based Sylvan’s highest annual franchisee award, the Thrive Award. "There are a lot of things I love about the way he works and the way he runs his operation," said Susan Valverde, vice president of franchisee operations. Kolbow started at Sylvan as a teacher and continues to spend about half his work week tutoring students in math, chemistry and physics. "That’s unique among our franchise owners," Valverde said. "There’s no better way, in my mind, of staying in tune with customers’ needs. And our customer is that child." Valverde described Kolbow as driven, humble, hardworking and inclusive. Kolbow owns up to the driven and hardworking parts. But he deflects praise onto his teachers and administrative staff. Hiring Sarah Miller, executive director of all seven – soon to be 10 – centers, "was the best decision I’ve made," he said. Kolbow is finalizing paperwork to acquire three Sylvan centers in Indianapolis. He expects the deal to be done by the end of the year. Currently, he owns two locations in Fort Wayne, and one each in Elkhart, Mishawaka, Valparaiso, Merrillville and Schererville. The centers cover northern Indiana from east to west. Kolbow, a Fort Wayne native who lives in South Bend, would like to own all the franchises in the state – 17 – before he’s done. Valverde believes Kolbow could succeed because of the quality of employees he hires and the structure he has created. That includes treating staff as teammates rather than subordinates, she said. Parents are also an important part of that team, Kolbow said. Cecilia Manning, a Fort Wayne mother of two, said her children went to Sylvan to prepare for college entrance exams. After reviewing results of their practice tests, Sylvan instructors designed individualized study plans that addressed each student’s needs and learning style. Sylvan charges up to $45 an hour, Kolbow said. Students typically come twice a week, either Monday and Wednesday or Tuesday and Thursday. But instructors willingly revise schedules to allow a student to come in the night before a big test, for example. Claire Manning, 19, is studying graphic arts at the University of Saint Francis. Michael, a senior at Bishop Dwenger High School, is scheduled to take the ACT in October. The 17-year-old hopes to eclipse the score he got the first time he took the exam. Manning said both students enjoyed their Sylvan tutoring sessions. As proof, she revealed that Michael asked to continue sessions in reading speed and comprehension even after putting college entrance exams behind him. His mother happily agreed. "It has been an excellent experience," she said.